Posted: January 29, 2019 in Fotos, Obscurities, Who,What,Where & When...? 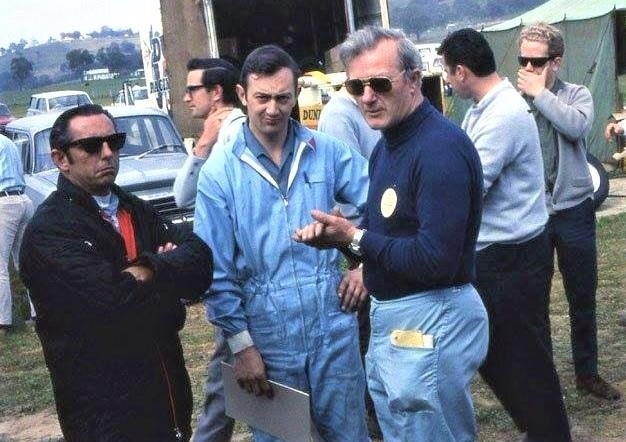 Long before his well known period as head of the Holden Dealer Team in the late sixties/early seventies Firth was a formidable car builder/preparer/driver in sports cars and sedans on tarmac and dirt. He won the Armstong 500 three times- twice at Phillip Island and once at Bathurst partnered with Bob Jane- in 1961 they won in a Mercedes Benz 220SE, in 1962 aboard a works Ford Falcon XL, Firth prepared the works Fords at his famous garage in Queens Avenue Auburn, out of these modest premises did some great cars emerge. 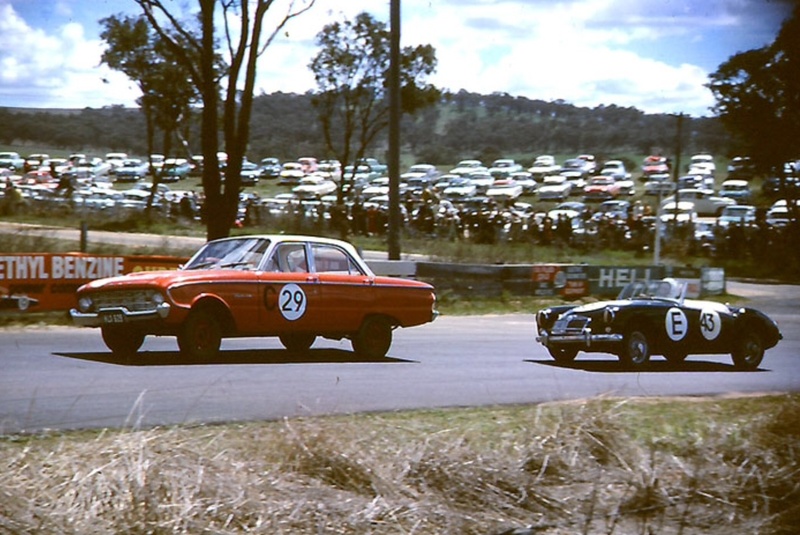 He was also victorious in 1963 in a self-prepped works Ford Cortina GT and again as the event morphed into the Bathurst (Gallaher) 500, once, partnering Fred Gibson in a works XR Falcon GT in 1967. 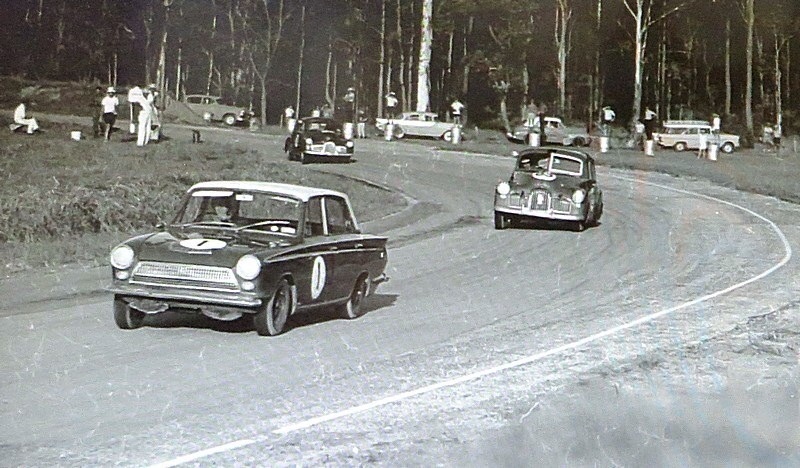 The Bob Jane/Harry Firth Ford Falcon XK (above) DNF leading the John/Caldecoat MGA, Hell Corner, Bathurst 6 Hour, 30 September 1962. Race ‘won’ by the Geoghegan Brothers Daimler SP250, who were first across the line in a race technically of classes with no ‘outright winner’. 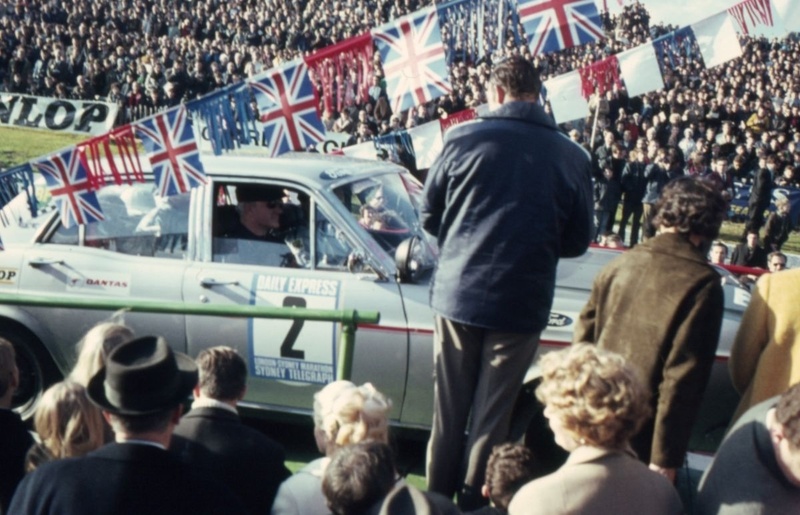 On Allan Moffat’s recommendation he was engaged to co-drive a Lotus Cortina with Moffat in endurance races at Green Valley and Riverside in 1966. 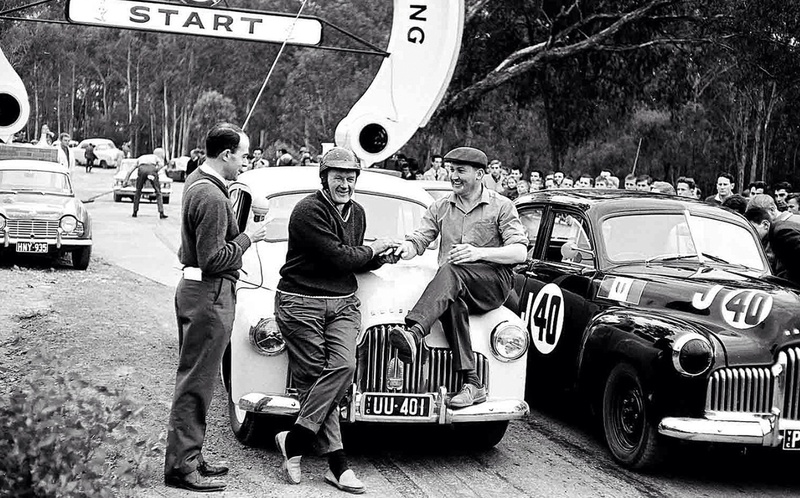 Ford were keen for him to stay but he had to return home to honour a Ford Australia rally commitment, duly winning the first Southern Cross Rally. 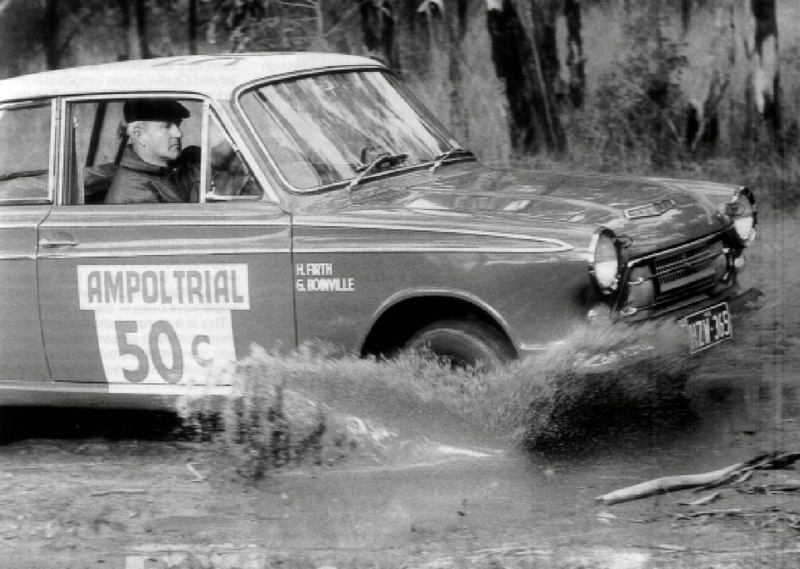 In 1968 he won the inaugural Australian Rally Championship driving a Lotus Cortina, another doyen of the sport, Graham Hoinville was his navigator. Firth and Ken Harper also prepared the Ford Australia Falcon GT ‘XT’ London-Sydney Marathon entries. 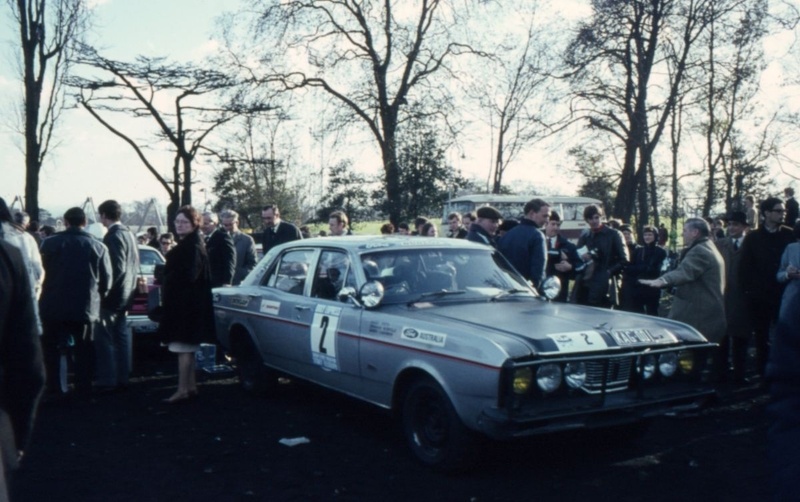 These 302 CID V8 engined sedans won the teams prize with Harry behind the wheel of the eighth placed car with his usual friend and navigator, Hoinville. The Vaughan/Forsyth car was third and Hodgson/Rutherford GT sixth. The two photos above are at the Crystal Palace, London start on 24 November. This unique blend of skills and experience is what bagged him, even as a ‘Ford guy’, passed over as team manager by Al Turner as ‘too old’ – the HDT job. He held this management role until 59 years of age, in 1977 when John Sheppard succeeded him. Let’s get back to the MG, this short article does not do Harry’s career justice, I am not attempting to do so- I am getting off point! The MG Special, chassis ‘TC4723’ commenced construction in 1951, the chassis was much modified and lightened. The engine was also heavily adapted for the demands of racing, exactly how is not disclosed in my reference sources, but included fitment of a Wade supercharger running at 22 pounds of boost which mounted in front of the radiator. If any of you have details of the full specification, ever evolving as it was, drop me a note, I will pop the details into the article. The bodywork was ‘functional’ rather than attractive as many of the ‘single-seater’ MG specials in Australia at the time were. 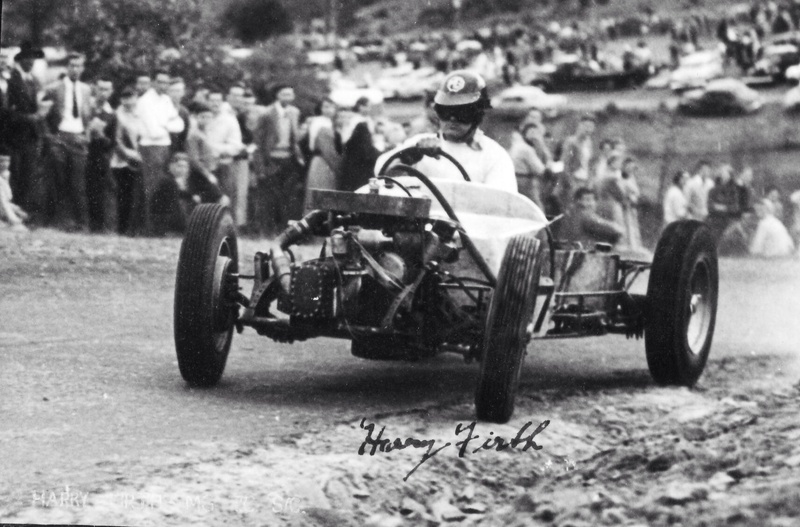 Its bluff nature mitigated against top speed but perhaps the cars primary purposes were hillclimbs and trials rather than top speed on Conrod Straight, Bathurst and the like. 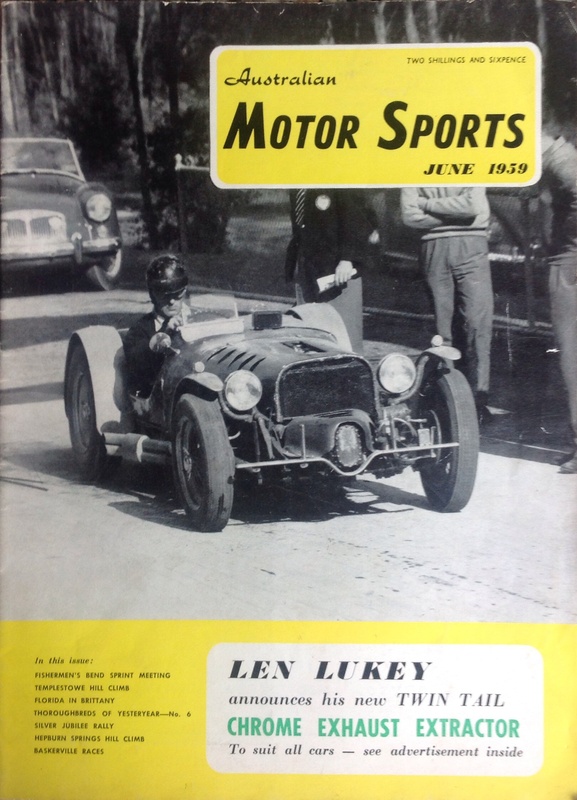 The MG was successful on the circuits, sprints and hillclimbs only slipping down the order as more modern Coventry Climax engined cars started to appear in the second half of the fifties. Harry eventually replaced the MG with a Triumph TR2, which was equally effective and functional until endowed with an Ausca (Maserati A6GCS) clone body but he retained the car which was stored out the back of his ‘Marne Garage’ on the corner of Burke and Toorak Roads, Camberwell. My grandparents and uncle had the newsagent on the opposite north-east corner of that intersection in the late fifties/early sixties, Harry was famous for sipping a cup of tea and working his way through the motor magazines, never buying any of course! Firth eventually sold the site to the Confederation of Australian Motor Sport to construct their headquarters. At that point, when he had to remove the car, it was sold to Jack Schumacher in Murray Bridge, South Australia, he didn’t use it much and resisted Harry’s regular entreaties to buy the car back until 1977. Harry restored it and occasionally used it in Historic events, I’ve lost track of it in recent years. Firth died in 2014 aged 96. 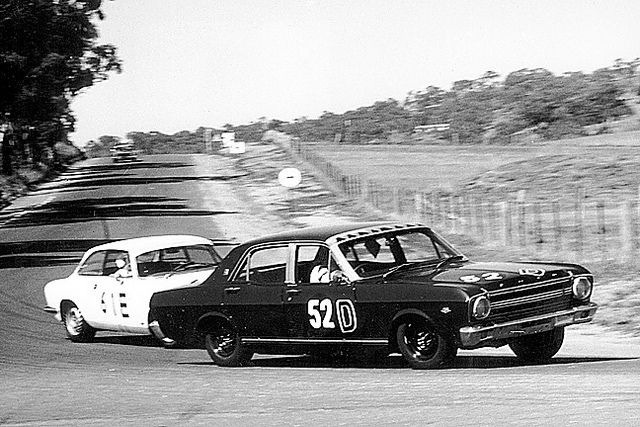 The photo above is a decade or so later than the one at Templestowe and shows Harry driving a Holden Dealer Team Holden Monaro GTS350- perhaps one of the circuit racing cars pensioned off for much tougher duties in 1969- Calder Rallycross. I wonder if this was Firth’s last competition appearance as a driver prior to his Historic Racing period a bit later on?